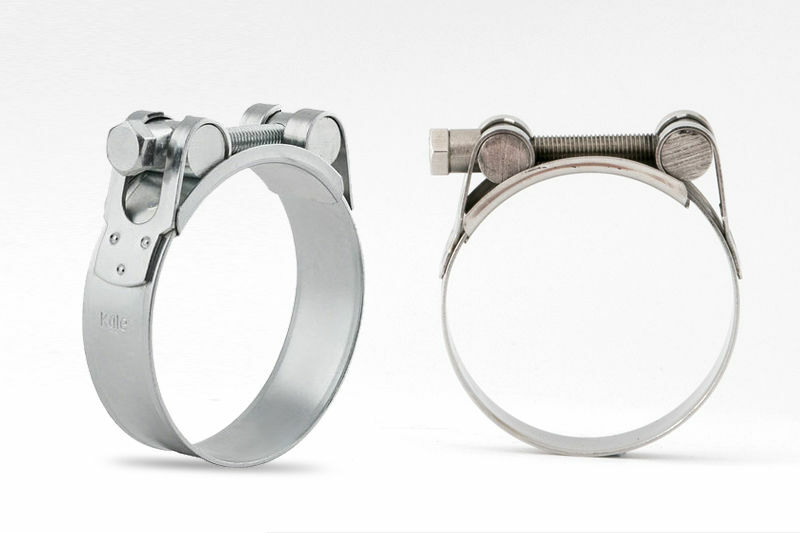 To meet market demand we have expanded our range and released the full range of KALE Semi Stainless (W2) HD T-Bolt clamps in sizes from 17-19mm thru 240-252mm. All KALE HD T-Bolt clamps feature solid threaded screw trunions, rolled band edges and durable three point welded bridge design. Contact us at Global Clamps for more information.